Warehousing management is a continuous stream of inventory counts, inbound materials, outbound materials, finding misplaced items, shelf-life management and a variety of other storage issues. 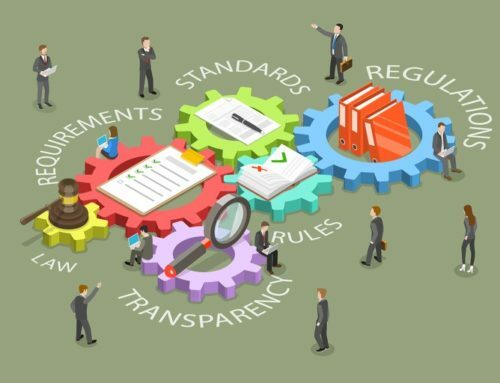 In the past, data-driven management has been based largely on manual entry processes, such as barcode scanners, that are human resource intensive and prone to human error. RFID is revolutionizing warehouse intelligence by providing automated inventory management and location identification. Radio Frequency Identification, or RFID, is a method of communication that helps relayinformation via unique magnetic signatures that are “programmed” to the ID tags. The RFID’s unique magnetic field can be detected by “readers” at up to 30ft, with incredibleaccuracy and speed. The reader can handle thousands of tags in at any given time, allowing users to gain immediate insight into current inventories, products in transfer, and endless amount of metrics based on the creativity of the manager and the consultants. 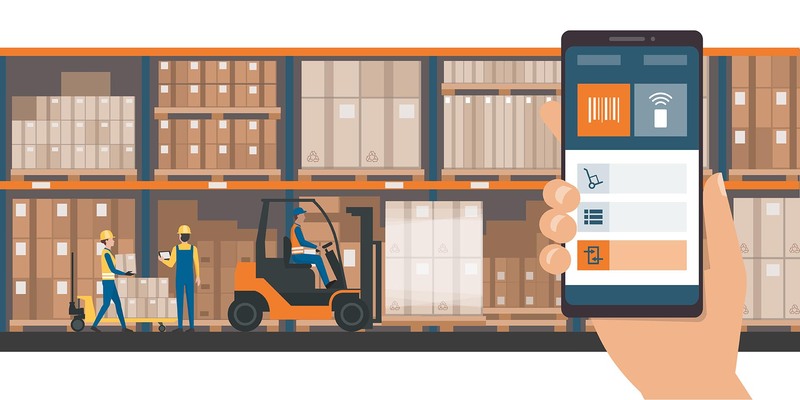 When applying RFID for warehousing applications, the key data recording points are typically Receiving, Monitoring, and Outbound. With these in mind, we will cover each phase to help better highlight the applicative uses and setup of RFID. Receiving shipments is a critical data collection point for warehousing. 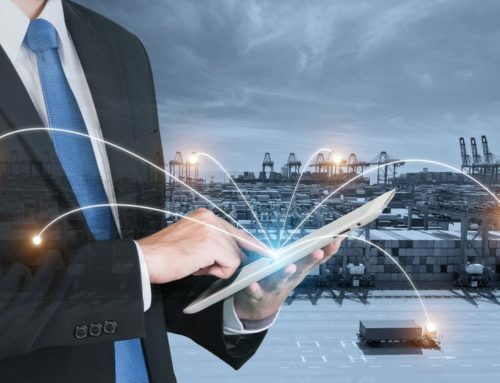 Depending on how integrated you are across your suppliers, RFID’s can be placed at whichever trackable point you desire, from components to finished goods. If your RFID’s areplaced and logged prior to reaching your loading docks, you can track the incoming goods and have them automatically log into your database. For this your supplier and your databases must be synchronized. * If the goods are not logged into your RFID system, they can be tagged at check-in via manual entry or via barcode scanners. Once logged into your system, the good will be tagged and then tracked wherever you have RFID reader coverage in your facility. Let’s assume, however, that the incoming goods are tagged with an RFID, and the tags are synchronized with your Warehouse Management System (WMS). When a delivery is received, the RFID reader will automatically read and identify the delivered goods, check them against the shipment manifest, log the items into the inventory, and identify the area where the items should be stored. When the goods are delivered, verifying their quantities depends on the type of RFID tagging that took place. If the manufacturer only tagged the boxes, which contain X amount of goods, then verification of the quantities will need to take place by trust or by hand-counts of the goods. If the goods are marked individually, then each good will be scanned individually by the RFID readers and the quantities are verified automatically and accurately. Validate the received goods against the shipment’s manifest. This helps reduce potential vendor conflicts that can arise regarding products ought to have been on the shipment but were not. Reduce theft or product loss. If theft and/or product loss during transit is an issue, RFID will validate the reception of the goods into the building thereby doing away with false inventory logs that could occur via corroboration amongst personnel at the receiving docks. Additionally, if RFID readers are strategically placed at all exit points of the building, the system can detect if goods are being taken offsite. Alerts can notify management and security personnel if the goods exit at locations when andwhere they aren’t supposed to. Minimize labor hours. Reducing receiving personnel’s time required to log, count,find storage locations, and validate goods received can dramatically reduce time wasted and increase overall labor utilization and efficiency. The gained efficiency can lead to better overall utilization of the personnel and/or cost savings by allowing existing labor to accomplish more with their time and mitigating the need for more staff. Accurately record the time the goods are received. Managing a good’s shelf-life can be a challenge. If the goods are perishable, if your inventory and manufacturing process are operating on FIFO or FILO, or if trying to manage reorders based on spoilage or expiration, receiving time logs can help ensure your inventories are managed effectively and potentially reduce profit loss based on product loss. Notify key personnel of the reception of time-sensitive goods. If the goods are to be used immediately for manufacturing or for sales, a manager can be notified automatically once they are received. Typically, a manager is only notified after the good is finally logged into the system as arrived and the receiving personnel notifies the department the good has arrived. An RFID system can eliminate hours of delay by creating system notifications that are created once the good enters the building. Provide storage information automatically to personnel. Once the goods arrive, the storage location is automatically assigned via the RFID software system, helping minimize communication issues between the receiving personnel, forklift or hand- truck operators, and warehouse managers. This will help ensure the products are stored in their correct locations. Once the goods have entered the facility, how they are tracked dependson the company’s goals for storage or utilization. The utilization goals will determine how the RFID hardware is setup and the overall RFID reader coverage required to ensure tracking is accurate. Give automatic alerts based on predefined metrics, such as minimum inventory levels, expiring products, unauthorized or authorized movement. Locating goods Tagged goods can be located based on their proximity to RFID readers whether correctly or incorrectly stored. If the goods are part of work in process inventory for assembly, the goods can be tracked for inventory quantities, assembly line progression, and help automate ordering. RFID monitored inventories provide higher reliability for ensuring component quantities are actual and maintained to required assembly needs. Whether working bundled work orders, or maintaining inventories for assembly purposes, having reliable real-time data allows for automated inventory workflows to be integrated such as automatic ordering or alerts when quantities are reaching threshold levels. Once the goods are ready to be shipped, RFID can be used to ensure the outbound goods are accurately tracked and the shipments are verified. Similar to inbound, RFID readers are placed at the loading bays to track RFID movements in and out of the loading dock. Here are some key benefits of RFID tracking for outbound goods. Logging against current database The goods that leave the facility are logged against the database and debited from the facilities inventories. Quality assurance of shipments RFID can help ensure that tagged goods enter the correct bay and are loaded on the correct trucks. If the goods are loaded incorrectly, automatic alerts can be designed to notify the shipping manager of the mistake. Additionally, the loaded goods are logged against the shipment manifest in the database to ensure there are no missing items and the shipment is accurate. Alerts and Notifications The RFID software can alert customers and management that the shipment has taken place and when to expect delivery. If the items are running behind or are time-sensitive, then this alert can help increase effective communication strategies and overall customer satisfaction. Data drives decisions, and the more accurate the data the more effective the decision. RFID is a multiplier to current WMS systems by adding a process that improves the overall reliability and capabilities these systems have. RFID offers a solution that minimizes the manual labor-intensive processes that mitigate timeliness and are prone to errors. Also, the potential for automating orders, alerts, workflows or time-sensitive decisions is extraordinary. Over time, the value of highly accurate current and historic data is going to change how we do things. RFID offers a way to glean the data accurately and timely and within methods that would have been too time-intensive previously to effectively collect. RFID has already transformed the retail industry and is changing the way we think about how all of our businesses work.